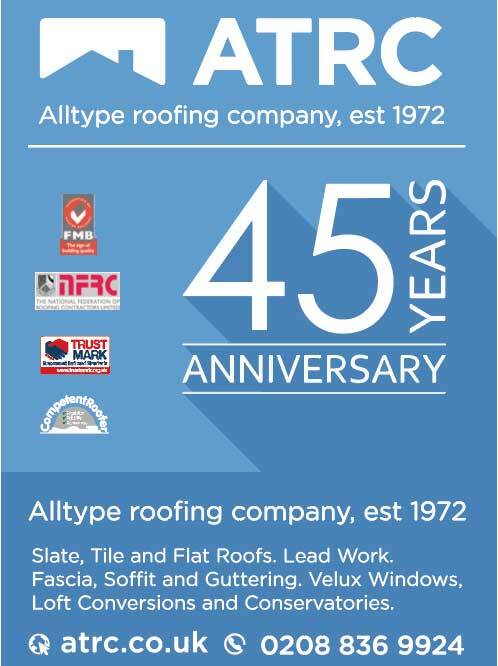 Founded in 1972, Alltype Roofing Company have built an enviable reputation as one of the leading roofing contractors in London. Leading the way in innovative roof coverings, we have installed and repaired thousands of pitched roofs and flat roofs over the last four decades. We also specialise in loft conversions, extensions and Velux installations and focus on smaller roof repairs, maintaining properties to ensure their longevity. We operate in and around the Greater London area and we service all roofing enquiries within a 40 mile radius of Central London. We are NFRC and CHAS registered and are also members of the Government’s Trustmark scheme which helps protect you, the consumer, from rogue traders.